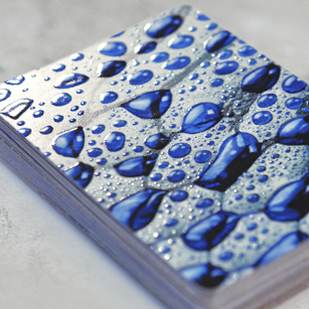 The revolutionary high gloss embossed printing technology as introduced by MPC has taken the card games market by storm to a whole new level. Give your deck the ultimate WOW factor. 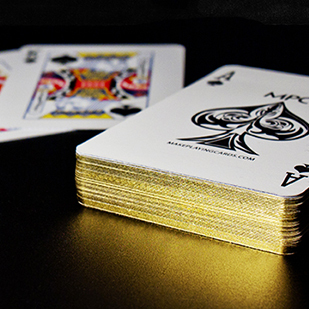 We offer gold as well as silver gilded edging on your custom deck of cards with no minimum so now your small runs can look as good as full production runs. Great for tarot and poker sized cards. Holographic foil cards are a popular type of TCG trading card often used for special or rare cards. 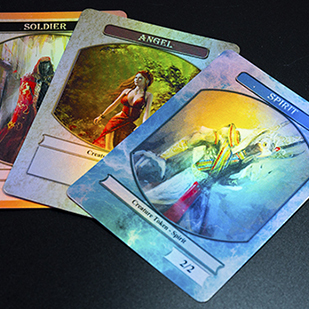 It uses a wafer thin rainbow foil layer to give off a shiny and stand out look among other cards.